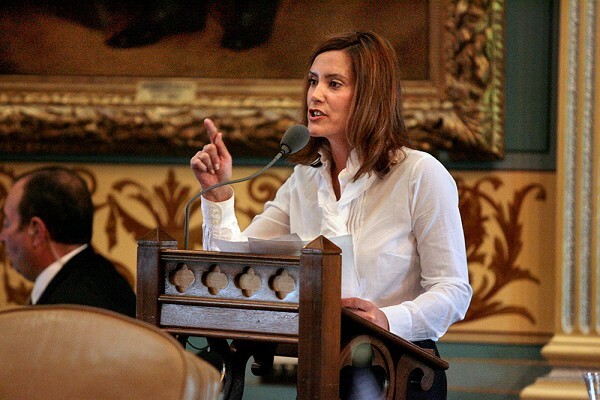 Democratic gubernatorial candidate Gretchen Whitmer was a leader in the Michigan Senate. Michigan State University's State of the State is predicting that turnout, campaign management and events yet to come will make the difference in November's vote. Will the "blue wave" wash over Michigan is the question? Or will the decades-old conservative stranglehold continue its vise-like grip on the state? "Voter turnout will make a great difference," said Charles Ballard, director of MSU's State of the State Survey in the three-way podcast discussion. Listen in at https://ippsr.msu.edu/public-policy/michigan-wonk-blog/primary-pink-wave-prosperity. Ballard joined Interim IPPSR Director Arnold Weinfeld and Eric Scorsone, director of MSU's Center for Local Government Finance and Policy. The discussion focused on the primary election results, upcoming general election, ballot proposals and the fiscal health of local government. Michigan's November 6 general election continues to look much like surveys have forecast, Ballard said, adding: "The biggest takeaway is that polling was correct." Most surveys, including SOSS as one of the state's only surveys of Michigan adults, forecast that former Senate Democratic Leader Gretchen Whitmer would win the August primary vote and that Attorney General Bill Schuette would win the GOP nod. SOSS results showed 41 percent of the respondents favored Whitmer, 35 percent favored Schuette and 24 percent undecided for either candidate. Ballard forecast little slow of the numbers of women who took part as voters or candidates in the August primary. "There's a great deal more activism among Democrats generally, and among women Democrats. 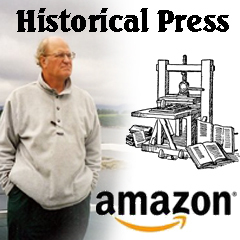 I don't know why it would dissipate between now and the first week of December." They also looked ahead about questions that appear to be headed to the November ballot, especially ones favoring recreational marijuana and moving decision-making over voting district boundaries from the Legislature to a citizens' panel. SOSS results show Michigan adults favoring both questions. Expect to see well-funded efforts to defeat one or more ballot proposals with a "just say no" campaign, Weinfeld said. While a question about raising Michigan's minimum wage from the current $9.25 an hour to $12 hourly by 2022 could have limited effect in the near term, its effects could be deeper if the state falls into recession, Ballard said. Any recession would put greater pressure on an unexpected segment of Michigan's economy -- older suburbs, rural communities and the outer ring of Michigan's urban core cities. Local governments have encountered state spending cuts since the 1990s, he said, leaving them with few sources of revenue. "We're going to see a shift in who's in trouble in the future," Scorsone said. Schools may even be more at risk, he said, citing a potential need for special training, technical assistance, and other prevention tools. Population losses coupled with increasing need for public services are already creating signs and fears of a coming recession pressing suburban communities, Weinfeld said. "The question will be how prepared are we to face that either at the state level or local level," Weinfeld said. "The new governor will face competing demands for spending on roads, public health care and other needs. ?No money is free, and yet people want services for free," he said. IPPSR 's State of the State Podcast is broadcast over MSU Today airing Sunday afternoons at 4:00 on 105.1 FM and AM 870. It is also featured on radio stations on the air and over the internet, on SoundCloud at http://soundcloud.com/stateofthestatepodcast, over iTunes, on Facebook, Twitter and on the IPPSR website at ippsr.msu.edu as part of the Michigan Policy Wonk blog.